Daghorn then proceeded to establish himself in Barbados and people he owed money to in the UK were ignored, fired or offered more work which never materialised. Daghorn claims to have purchased Lamberts Plantation in Barbados. He proclaimed he would clear his name, disprove the accusations against him and continue full force with Ris­ing Records, whilst living in Barbados throughout the winter and the UK throughout the summer. That has NOT been the case. 1 year later and various bands, employees, magazines, contractors and promoters are still owed substantial sums of money from Daghorn. If all that wasn’t enough Daghorn then proceeded to collect the bands Royalty payments from distributors, which he promised to pay direct to the bands and a few days later sent emails to bands saying he was closing Rising Records and that no one would be paid. In the meantime he setup a restaurant in Speightstown called Juma’s. The money stolen equates to around £100,000. He is in breach of record contracts, has led mar­riages to divorce and has multiple County Court Judgements against him, which he has ignored. He now seems to be doing just the same in his new residence of Barbados as this document will reveal. After being revealed as a SCAM Daghorn told concerned bands and creditors he was visiting Barbados to buy a property that he would stay in throughout the winter with his wife, who is from Barbados and whom he claimed intensely disliked the cold English winters. He spent the winter in Barbados and told people he had purchased the house there which he was turning into a luxury recording studio to sign Bajan bands. He returned to the UK in the spring of 2012. In May 2012 he had people visit his house (Little Clacton Lodge) about unpaid VAT. One week later and he fled the UK for good. He has since stopped responding to people he owes money to. Throughout her time in the UK Riley had presented herself as ‘Jules Daghorn’. She seemed a charming if somewhat quiet lady. Long dreads, a big smile. Whilst Daghorn would be somewhat abusive to bands, Jules was the reassuring and calming part of the package deal. However, no one knew that Jules was not her real name. It is unclear if Daghorn and Riley are married but they present themselves as such. Riley was born in Barbados (1960) and moved to the UK whilst her child was a Baby. The child’s father is Ron­ald Fenty, who is the father of pop star Rhianna. Fenty claims he had a fling with Riley which led to the birth of Kandy, who is Rhianna’s “secret sibling”. Daghorn however tells many bands and people in the music industry that Riley aka “Jules” is Rhaiannas step mom. What a great way to get bands to believe they will be famous if they sign to his label. Daghorn spent winter 2011/12 in Barbados at Lamberts Plantation. He then returned to the UK in March 2012 and went back to Barbados full time in June 2012. He has not returned to the UK since, knowing that he is under investigation for VAT fraud. He has recently been promoting his two Barbados ventures throughout Barbados. He had over 800 friends on his Vernese Riley Facebook page. All Bajan. His two ventures are: Juma Recordings and Juma’s Restaurant. Daghorn and Riley are renting Lamberts Plantation out as a music studio, wedding/functions location and a luxury retreat. Lamberts plantation consists of two main buildings and a mill wall on 5 acres of land, in a small village called Lamberts, St Lucy. Daghorn has told various creditors in the UK that he has purchased Lamberts Plantation and is waiting for mon­ey to come in until he can pay people. Does Daghorn own or rent Lamberts Plantation? Lamberts plantation is listed as for sale on various web sites throughout Barbados. Recent listings dates show June 2012. It’s listed value is $5,000,000 Bajan Dollars, around $2,500,000 USD. Hello – Just to clarify that Lamberts is no longer on the market. We bought the house nearly a year ago but several estate agents still have it listed for sale which is a common thing on Barbados. We have fully refurbished the house and garden and we look forward to welcoming you all to Lamberts in the near future. For months Daghorn has been telling people he is setting up a restaurant in Barbados and once the restaurant is set up he will pay people. This was meant to happen in around June 2010. What happened to the restaurant? According to an August 14th post on Tripadvisor Juma’s had opened in Holetown. Yet another new restaurant has just opened at the bottom of 1st Street called Jumas ————–at the moment only at lunchtime until it is granted a drinks licence then it will open at night as well ( Hopefully in the next cou­ple of weeks ) They are serving simple local type food plus burgers etc and a huge choice of Ice Cream I have just tried one of their home made Fish Cakes and WOW!!! is all I can say. I wish them good luck . A new ocean front restaurant (JUMA’s) is opening in Speightstown on December 22nd. Classic French and Ba­jan. Open for lunch and dinner Monday to Saturday. Well now, that is VERY interesting!!! Jumas opened up a restaurant at the bottom of 1st Street in August. They were there 2 weeks then disappeared without trace. The property owner was not amused to say the least. I hope they last longer in Speightstown. Hello all – Just to clarify firstly that Jumas is in the same premises where Mangos By The Sea used to be and we look forward to welcoming you from December 22nd. please get your facts straight – we were forced to pull out of the holetown premises after the property owner physically assaulted me after failing to get a leaking roof repaired and failing to provide any working kitchen equipment which was supposed to be included as a condition of the lease. We had paid a substantial deposit on the premises, plus our rent, and fully refurbished the inside and outside of the building only to be treated appall­ingly. We could not open because the ovens did not work and there was water leaking through the roof all over the bar area next to electrics. We had no choice but to pull out and we did not disappear without a trace – we informed the owner that we were going and we are currently in the process of taking legal action against her to recover all of the money that we paid her. The history of the place speaks for itself – no one stays there. The above information CLEARLY concludes that in a little over 6 months of living in Barbados Daghorn has rented 3 properties and is seem­ingly delinquent with rent on one and/or threatening legal action against a Landlord on another, which he has “vanished” from. He has now setup a new Juma’s in Speightstown, which opened Dec 22nd. Around the 4th of Feb 2012, once bands realised their money had been stolen they searched the Internet for Daghorn and found Facebook pages for his new restaurant. People started posting angry messages warning residents who was behind Juma’s. Every single comment to date (equating to hundreds if not thousands of comments) have been deleted by the admin of the Facebook pages promoting Juma’s and Lamberts. Posts made on Trip Advisor have also been reported and removed. Daghorn and Riley are blocking us, the people of the UK, from telling the people of Barbados, the truth. What Daghorn and Riley are doing in BARBADOS is EXACTLY the same as they did in the UK; They rent a luxury property and tell people they own it. People trust them and work for them. Bands see the million pound mansions and fall for the dream. He tells them if they sign to his label he will get them tours, they will be promoted on MTV, be featured in magazines, have a physical CD produced and a distribution deal in place, provided they pay to have the album recorded by him at his studios. He charges on average around £7,500 for the service. In many cases bands didn’t get anything at all. Often he advertises the albums for sale as “pre-orders”, collects the moneies and never posts any CD’s, leaving the bands to explain to their fands what has happened. When bands contact Daghorn they are met with a wall of silence and an intimidating man who gets very abusive. He tells people he is waiting for the distributor to pay him. He tells people he is waiting on money to come in. For the last year he has been telling people in the UK he is waiting for money to be paid to him from the people of Barbados, for events and parties he throws at Lamberts and Bajan bands he claims to have signed. He answers his emails, phone, text messages, repeatedly pleading for a little more time. Eventuallty he get’s abusive towards people, threatens legal advice and then he stops responding altogether. Our final plea to the people of Barbados. Please help us. Daghorn and Riley prey upon the creativity of young up and coming bands. Daghorn takes their money with one hand and erases their chance of success with the other. Many bands have had promising careers ruined in the UK, purely through their association with Daghorn. Daghorn and Riley are being investigated by various authorities in the UK. We need your help. Please. Spread this message around. If you have children that are musicians or who are in bands and are thinking of signing and/or recording with Mark Daghorn and Juma Recordings in Lamberts, St. Lucy, BEWARE. He will not hesitate to take their money, break their hearts and shatter their dreams in his pursuit for financial gain. PS – THANK YOU FOR YOUR ENQUIRIES BUT AT PRESENT WE ARE NOT AVAILABLE FOR INTERVIEWS WITH ANY MEDIA ORGANISATIONS. I know slimy Mark here in Barbados…everything written about him is true….he is a scammer always looking for the next victim….seems Juma’s is still open for business tho…the owner of Lambert’s threw him out and is living there himself. Is he still owner/manger of Jumas restaurant in Spighstown? 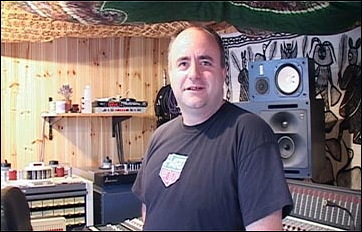 There are a lot of young UK bands that were fleeced by this guy, according to many blogs. He never did buy Lamberts Plantation, but was renting it out, and pretending to own it . Even featured in 2013 Inns and Outs of Barbados. I personally know one of the bands this lowlife scammed for over £5000. He has no morals, even at one point saying that he had to attend his own fathers funeral in Ireland, when the same night he was pictured on facebook drinking at a party in Barbados. Tripadvisor deleted all of the TRUE comments about him but are still happy to give space to his venture.